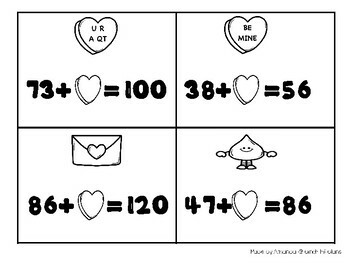 Do you need a fun and engaging Valentine's Day activity to practice math skills? 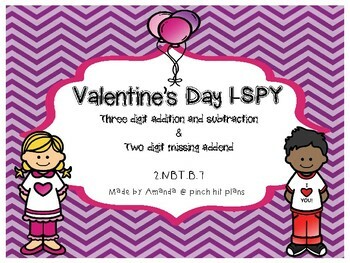 This packet has two I-SPY games that reinforce two and three digit addition and subtraction with a Valentine's Day theme. 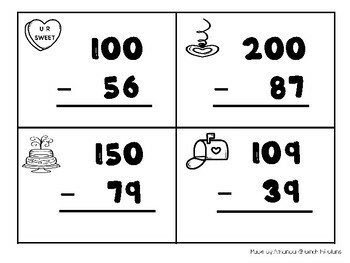 The first I-SPY reviews triple digit addition and subtraction with regrouping. 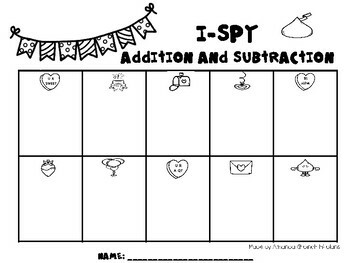 The second I-SPY reviews two digit addition missing a addend. Thank you for your download from my store. I would be grateful if you would leave feedback on this product. Don't forget to follow pinch hit plans for new and exciting product announcements and TPT sales.